Renowned as a stylish small resort with only 30 villas, Kandolhu Maldives strives to continually innovate with fresh ideas, ideal for their ever-growing repeat guest following and new visitors alike. This month Kandolhu Maldives are very proud to announce the opening of its 5th outlet “Ata-Roa”, serving up Mexico and Peru’s best street food. The menu is straightforward, simple and light, with classic and unique takes on ceviche and tacos on offer. Due credit goes to Executive Chef, Mickaël Farina whose recent trek across South America last year helped develop the concept of mouth-watering dishes being served. Open daily (except Wednesdays) from 12 pm to 4 pm, Ata-Roa has a strong emphasis on intimate service and authentic execution using the finest ingredients with focus on local. 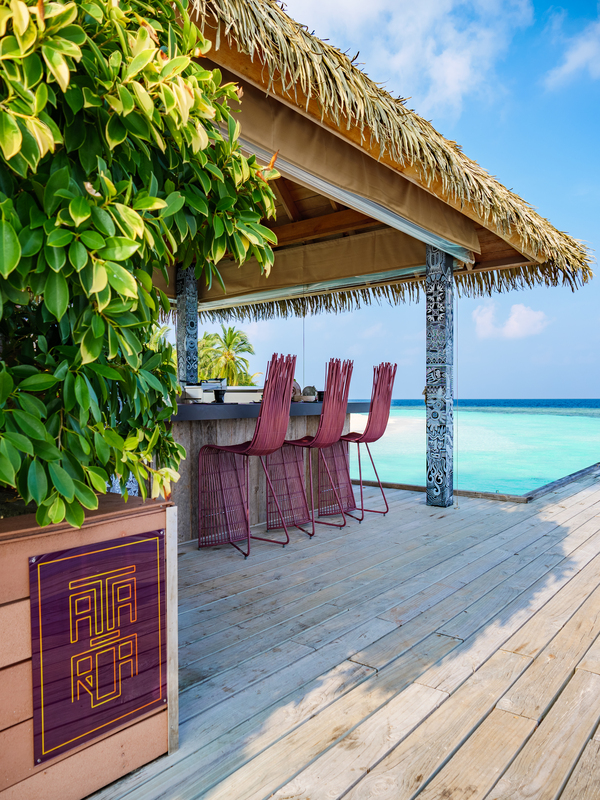 It is located on the Noovilu Sports jetty; guests are invited to sit down grill-side to watch their food being prepared by the skilled team whilst enjoying a gentle sea breeze and beautiful ocean views, or grab their selections take-out style and head back to their villa to enjoy. All is perfectly paired with Mexican beer and craft mescal and pisco cocktails. The design and branding of Ata-Roa draws inspiration from the “Day of the Dead” Mexican traditions, and Peruvian Nazca lines, which add an additional level of authenticity and is already receiving wide acclaim from guests. The space will also be used as a pop-up location for various food-related events, including Spanish wine and Basque pintxo nights, and exclusive degustations with Chef Mickaël.